The appeal of the Ostrander Point wind power project approval resumes tomorrow in Demorestville at 10 a.m. 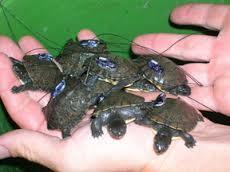 The hearings halted abruptly several weeks ago, when at-risk species expert Joe Crowley testified that it was his opinion a permit not be granted for the project due to the danger to the Blandings turtle. When the Environmental Review Tribunal resumes tomorrow, it will be expecting a response to its direction to the Ontario Ministry of Natural Resources and Forestry to produce documentation on the permit process and Mr Crowley’s recommendation. The Ministry has already telegraphed to the media that its process is “nuanced” and approvals are not based on the opinion of just one staff member. For more information on efforts to protect the entire area of Prince Edward County, go to Point2Point Foundation here. This report is fascinating; it confirms that ideology and profit–not science–may be driving energy and environment policy. In Ontario, we have the resumption of the Ostrander Point appeal tomorrow where a wildlife expert’s recommendation to NOT build a wind power plant because of the danger to wildlife was over-ruled by the government actively pursuing an environmental ideology.